Third molars, upper lateral incisors, and lower 2nd premolars are the most frequent teeth involved with hypodontia in the symmetrical form. it is found that missing teeth can be inherited in families with mutations in the MSX1 gene on chromosome 4, in which missing third molars and second premolars are the most common finding. Missing molars can also be a result of mutation in the PAX9 gene on chromosome 14. Missing teeth have been reported to be associated with low birth weight, multiple births, and increased maternal age. Rubella infection and thalidomide can also affect the development of the fetus and lead to missing teeth. This syndrome is rare and is characterized by congenital absence of ectodermal structures. In other words, affected patients will have severe hypodontia and even anodontia, smooth dry skin with fine scarce hair, and partial or total absence of sweat glands. These patients are unable to tolerate heat. Some have a few teeth present, but their eruption can be delayed or their shape deformed. A Down syndrome child, is characterized by other symptoms such as decreased muscle tone at birth of the whole body, short stocky stature and limbs, short fingers, small upward-slanting eyes, high and narrow roof of the palate, a flattened nose appearance, and many more. Also known as the branchial arch syndrome, it is a condition whereby there is craniosynostosis, which is the early fusion of bony plates of the skull, resulting in abnormal growth. These patients have widely separated eyes (hypertelorism), exophthalmos (eyes appear bulging out of their sockets), insufficient growth of the upper jaw resulting in a relative protrusion of the lower jaw, giving the face a concave profile. What can be done if I have hypodontia? The treatment options for hypodontia depends on multiple factors, such as number of tooth missing, site of missing tooth, available bone and ideal bone condition (for placing implants) etc. It can be a complex process involving a multidisplinary input from the paediatric dentist, orthodontist, and prosthodontist. Missing molars, especially the 3rd molars, do not have to be replaced. Sometimes there can be several teeth missing, but all the present teeth are arranged neatly together and can function as any other normal human being. In such cases, no treatment is necessary. 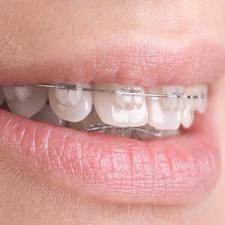 In people with general spacing between teeth due to several teeth missing, they can consider application of orthodontics to push certain teeth together, to make space where a denture or other prosthesis such as implants or bridges can be fabricated to fill up that space later. Hypodontia is often associated with small teeth. 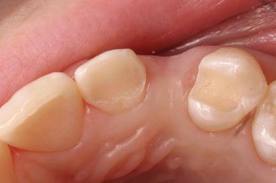 Such small teeth may be conical shaped, or merely smaller in size to a normal tooth. In such a case, masking of the tooth using composite material is strongly advocated. Patients with severe hypodontia or anodontia can have a partial or complete denture done, with implants as part of the treatment protocol at a later age, when the development of the bone is complete. Of course, this means that dentures will have to be replaced as the child grows. Another problem with this alternative is the child’s limited compliance in the process of making dentures, which has to be repeated each time a new denture is indicated, and the willingness to wear a denture itself. Hyperdontia will be further discussed in “Causes of abnormal number of teeth in your/your child’s dentition-Part II”.